Season One of The Wire was good. Season Two was better. Did season three improve on season two? Very much so. In fact, the difference between Seasons Three and Two was greater than Seasons Two and One. It was really good. Do I need to say anymore? Well, I might as well. Whereas Season Two moved to the docks and changed the feel of the show, Season Three's differences were less drastic. While the season began with the major change of the towers being torn down, the storytelling shifted back to the streets and the drug game and characters we've gotten to know quite well. In particular, Stringer Bell and Avon Barksdale took on bigger roles, with top notch results. Stringer was very interesting from the get go, with his attempts to get involved in the legitimate business world, and with his bringing of the business world to the drug trade. Watching Stringer run meetings, either with his fellow drug kingpins or with his own underlings, was great, and at times even kind of funny, if only for the perceived disconnect between decorum and the drug game. However, when Avon gets out of jail -- and with a new up and comer named Marlo on the corners and using violence to keep his territory -- he wants to take it back to Marlo's crew. This brings Avon's way of doing business, with force, and Stringer's means of operation, with business, into conflict. And this drives the later episodes of the season with great results. The second to last episode, which features a huge moment between Stringer, Omar, and Brother Mouzone, was the first great episode of the show to me. Unfortunately, Marlo and company weren't all that interesting. They mostly served to move the plot, but in that sense they worked quite well. As for Lt. Daniels gang, not too much changes with them. There was a new woman in the group, and I appreciate the way the show just dropped her in without explanation. McNulty remained obsessed with catching Stringer, which brought up themes of what exactly Jimmy is going to do with his life once this operation is done. Kima's having problems at home, Daniels and his wife are split up, and he ends up with the district attorney McNulty has had flings with in the past. The only really notable thing that happened with any of these guys is Prez once again showing how unfit he is to be on the street or to carry a gun, with tragic results. Bunk didn't have too much to do this season either. However, he did have one great conversation with Omar. The one big new storyline in this season was about politics and a bold maneuver by a Major Bunny Colvin. Close to retirement, and pushed to lower the spiking crime rate, particularly the murder rate, Colvin decides to not enforce drug laws in small portions of the city, areas which become known as Hamsterdam. There is a lot of interesting stuff related to getting Hamsterdam in place, and then it becomes a political tool. With mayoral elections around the corner, the mayor has a lot on his plate, and a young upstart named Tommy Carcetti is aiming for his job. Carcetti also has a relationship going on with acting Commissioner Burrell, not to mention a crafty election aide who has a sexual fling with McNulty. The storytelling in Season Three of The Wire was definitely the strongest the show has done to date. The Hamsterdam stuff was really good, and Stringer's arc was great. Omar was interesting as usual, although his role this season was a bit slight when he wasn't firing guns at people. He did have a great shootout in the middle of the season. The fact they didn't really add as many new characters this time they got to build on what they had done the previous two seasons. The docks didn't come up until the last episode, when Bea Russell made a brief appearance and we saw a couple dirty old "Re-Elect Frank Sobotka" flyers, which was a nice touch. After three seasons, The Wire isn't the best drama of all time to me. However, it has been quite good, and I am curious to see if season four builds upon Season Three. The show has gotten progressively better every season, and obviously it would be great if that would continue. That being said, with some major characters out of the picture now, either dead or in jail, the show is definitely going to have to change some things around. 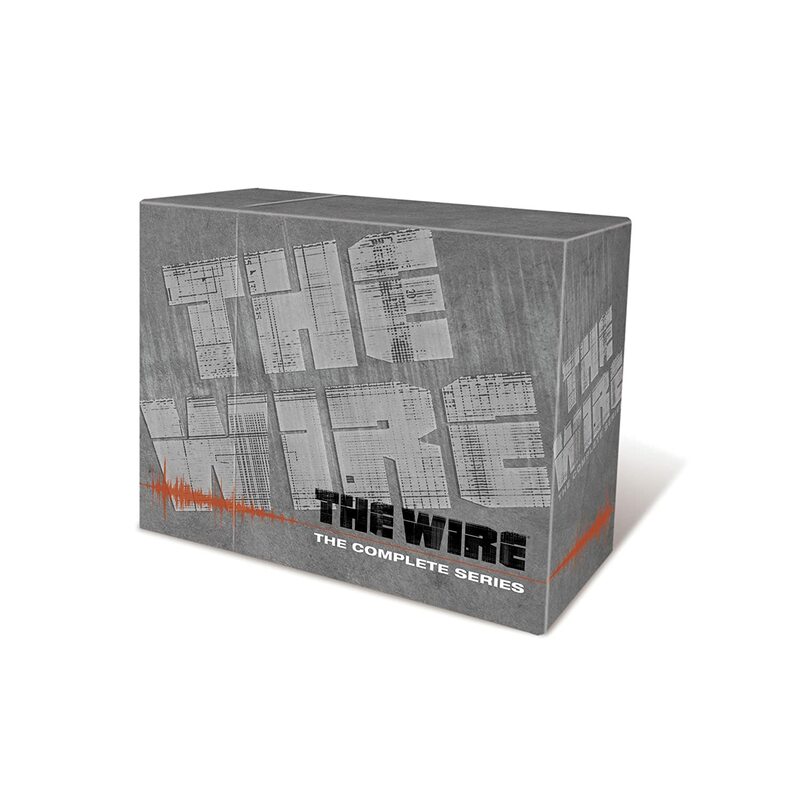 That might make season four's start slow, like season two's, but I trust The Wire to bring the good at this point. Oh, one last thing. I swear I saw Rawls in the gay bar. Was I seeing things? Did he just look like Rawls, like that guy who looked like Steve Carell in a beard on that episode of The Office this season? Chris, once again my major criticism here is that you're "judging" The Wire as a whole as you watch it for the first time season by season. Also -- something that is very very important about this series in particular is that one gets a lot more out of it upon subsequent viewings and reflection. As example: I would bet that if you went back and watched Season One right now you'd have an awfully different opinion of it, having a lot more context and background to work with as a great many characters and situations are introduced quickly. Also: you've admitted that you don't watch very many dramas, so it's hard to believe that you have a solid footing on where to rank The Wire in terms of "all time great dramas" ?? Eric is spot on. The Wire improves exponentially on multiple viewings. Chris, season four is also excellent, so fear not. Also, I agree with Chris that Marlo and his crew never interested as much as the Stringer/Avon crew. I thought that they underplayed Marlo really well in season three, instead introducing other players like Slim Charles, Prop Joe, and the co-op in order to show just how much one buck-wild free agent can ruin a city-wide arrangement. Season four does complement seaosn three really well, paying off where you expect it to (more interest in Marlo's crew - keep your eyes on Snoop and Chris) and where you don't (Prez's story arc definitely redeems him, imho). You're right with your observation about Rawls, Chris - when you rewatch the series, you'll see him a new light from the very first time you hear his voice. Absolutely agree about Marlo -- one of the most sinister characters in the history of television. His lack of emotion meshed with urban swag is simply chilling. Talk about speak softly and carry a big stick -- this dude owns it. Therefore, when he does speak up occasionally (MY NAME IS MY NAME), it's all the more memorable.